Tired of living life at a frenetic pace? Exhausted from the length of your to-do list? Overwhelmed with how jam-packed your calendar is? I know what it's like to feel the need to say "yes" to everything, to feel like you have to always be doing more in order to keep up, let alone get ahead or "be someone." Our society moves at a sprint, and somewhere along the line we've bought into the lie that we have to push ourselves to keep up. But what if we didn't? What if we started living our lives at a slower, more sustainable pace? What if we could show the world that there's a better, more peaceful, more joyful, more productive way to live? 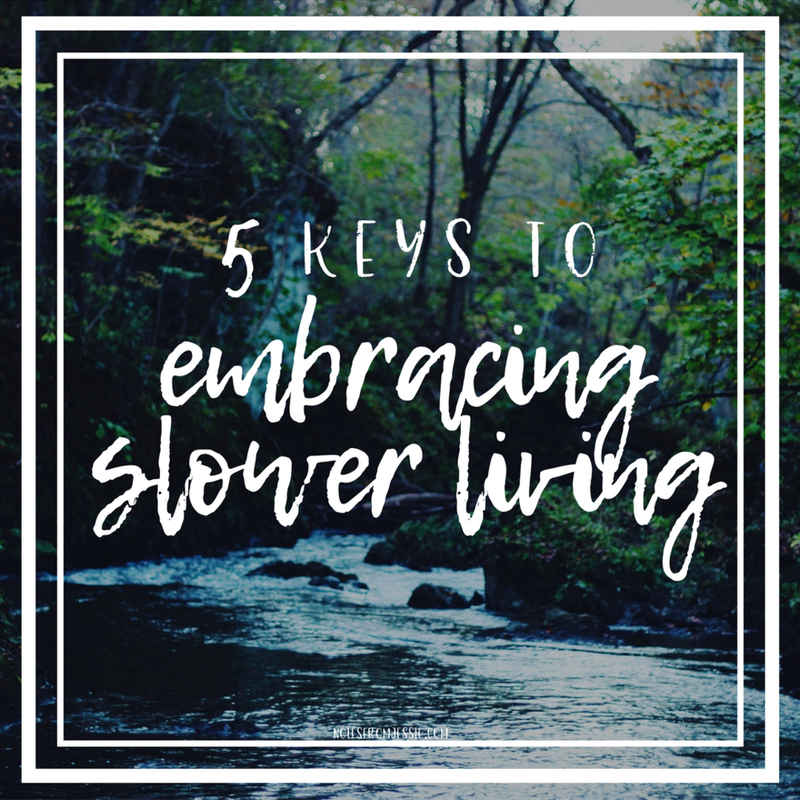 There are a few keys to embracing this sort of slower living. What matters the very most to you? Most people can come up with an answer to that question pretty quickly, saying things like their family, their friends, their work, or their faith. But when it really comes down to it, many of us don't live like our priorities are what we say they are. We hustle and rush to put in more hours at work to make more money to buy fancy things to impress people because it's what we think we're supposed to do. We think we have to compete to be the best and have the best. But that's not the truth. I've been there, too, saying my friends and family matter to me, but then putting those relationships on the back burner because after a long day of work, running errands, and making dinner, all I wanted was some "me time." 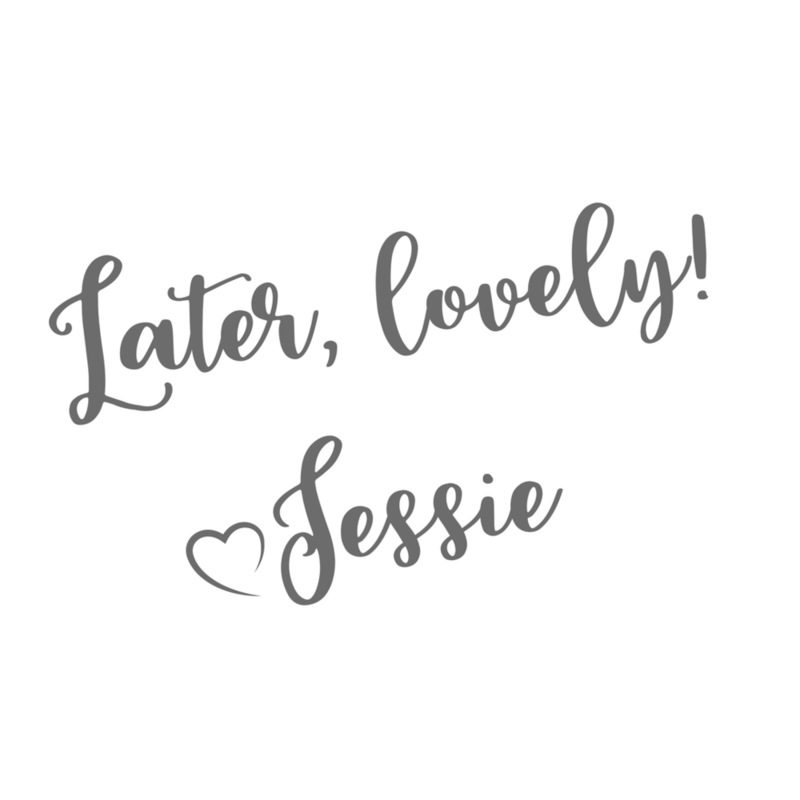 Having a more flexible schedule with my work-from-home life has been such a game-changer for me. Now I'm more in control of my schedule, and I can make more time for my people. Of course, that began before I started working from home, and it's definitely doable without being your own boss. I reached a point where the things I valued weren't being prioritized correctly in my life. I was living my life on autopilot, making time for what was absolutely necessary (or what seemed like it was) and sacrificing the things that are truly more important (rest, relationships) in the name of productivity and adult responsibilities. But now I'm able to see that we can take control of our time. We can prioritize the things that we value most. We can work a little less. We can start saying "no" to some (often good) things so we can say "yes" to the best things. We can create more space for relationships. All it takes is declaring what your priorities are and taking steps to put them first-- with your calendar, your energy, and your finances. Discover the simple secrets to creating a relaxing, restful home you LOVE starting today! You have successfully subscribed and started your journey to a more peaceful home! Don't forget to check your inbox to confirm your subscription and gain access to the secrets! If your schedule is anything like mine, there are seasons that are so jam-packed full of activities that you wonder how you're going to get any sleep or fit in a shower. We move so quickly through our lives, running from work to our doctor appointment to the grocery store, hurrying home to make dinner before we head out to our small group gathering. I kid you not; I used to have days like that. But they were absolutely exhausting. And when it only happens once in a while, it's not a big deal. We adapt. We make it work. It's fine. But when we live our lives in hyperdrive, we wear ourselves out. We weren't designed to move so fast. And when we're rushing through life, we miss some of the best things it has to offer. The only way to slow down so we can savor each season and all it has to offer is to start saying "no" to things. I know that's much easier said than done. I know. But I also know how rewarding and relaxing it can be. When we give ourselves permission to not do all the things, we all of a sudden find the freedom to choose what we're going to invest in. We give ourselves the opportunity then to invest in community, to embrace rest, to walk a little slower, to build some empty space into our schedules in case we want to go out for coffee with a friend or sleep a little later or read a few chapters of a good book. And do you know what happens when we let ourselves live a little slower? We relax. We know we don't have to rush from one thing to the next, so we can rest more. We get to prioritize the things we value most. We're more present with our people. I have been working on observing Sabbath for a while, telling myself Sundays are for rest and worship, not for work. But even so, I was moving at a pretty quick clip, even on Sundays. We occasionally have all-church lunches after our gatherings, and I would volunteer to help, but wouldn't typically stay too long because I always had at least five things to do before Monday came along. We had one of these lunches recently, and I didn't leave until 3:30, which is possibly a new record for me. I met with my pastor a few days later, and he expressed genuine surprise at having seen me stay so late. You see, he's known me for years and seen my propensity for rushing and hustling and staying busy. He knows it's hard for me to put people above productivity. He actually commended me for carving out so much space for community. I told him I've been working on creating space for rest and relationships, and that I had decided to be flexible and focus on spending time with people that day (and others, too, but especially that day). It didn't go unnoticed. That wasn't my goal, of course, but it was reassuring to know that my intentional decision to be present was noted and important. All because I decided what I was going to say "yes" and "no" to. We can't do it all, but we often think we can and feel pressure to try. We see so many others who appear to be able to do everything-- work full-time in an impressive and fulfilling career, go on date nights and vacations, dress fashionably without effort, cook drool-worthy meals that look indulgent but are secretly healthy, keep an impeccably clean and beautifully decorated home, go for ten-mile runs every day, and fill their journaling Bible with perfect handlettering and illustrations. Who needs that kind of pressure? None of us are perfect, even if some people appear to be from their social media feeds. I promise you they're also getting frustrated about how often they have to clean their bathrooms and what to have for dinner tonight when they realize there's no food in the house. Let's just stop the rat race, okay? Let's press pause on the comparison loop that just leaves us feeling like we're less than. Choosing to stop comparing is amazingly, breathtakingly, freeing. It gives us permission to be ourselves in a way that little else does. And it frees up so much mental energy that was being used comparing, criticizing, and worrying-- energy that can now fuel our creativity, relationships, and productivity. I can't even begin to tell you how much I needed a break from technology a couple weeks ago. It had pretty much taken over my life, between working on the computer all the live-long day, listening to music, watching TV shows, scrolling through social media, watching workout videos, checking email, and receiving text messages, I was being inundated with messages and spending more time staring at screens than I'd ever want to admit. I decided to take a couple days off over the weekend, and it was so rejuvenating. I didn't even miss anything important. And I got to be much more present with my people, which was really what I was going for. I disengaged from technology (social media in particular) so I could engage with the real world and real people around me. We spend so much time looking at what others are doing-- watching the news, scrolling through Instagram, checking out people's updates on Facebook. What if we stepped away for a bit and focused on what we're doing instead? What if we turned off the screens and looked at the people and the world around us for a minute? People matter more than things. Relationships matter more than productivity. I know these things to be true, but I also know how hard it is to live like they're true. It's all too easy to bury ourselves in our work and busyness, neglecting time with our people because we think they'll always be more opportunities to spend time with them. But the truth is there might not be. We only have today, and I suspect that if we all thought about it, we'd rather have spent more of it engaging in relationships than putting in another two hours at the office at the end of the day. People and relationships are the only things that last, the only things we can hope to take with us. Everything else will fade or be lost entirely. So let's choose to invest in the most important blessings we've been given-- our people. When we do, we'll realize that project we were going to finish and that elaborate dinner we were going to make don't really need our attention right now. They can wait. Our friends and family can't. They need us more than our to-do list does. Living more slowly means we get to engage more with the world and the people around us. It means being flexible with our schedules and our plans. It means choosing relationships over our to-do lists. And I can't think of a better way to live! Do you feel empowered to live a slower life now? I hope you do! My dream for you is that you can create a life, home, and/or business you LOVE by designing it with joy, simplicity, and intention, and embracing slower living is a step in that direction! If you want to chat more about living and working with greater joy, simplicity, and intention, I'd love to set up a call with you!